It is difficult to review a movie like 10 Cloverfield Lane because the film should be seen with no prior knowledge. It is a movie that any description will either spoil for you or give you the complete incorrect impression of what it really is. This review will just spell out the reasons you should definitely see it. For starters, it shares just a name with the 2008 Found Footage movie Cloverfield. No prior knowledge of that film is required and if you didn’t like Cloverfield, that does not mean you won’t like this movie. It is not a sequel but more of a spiritual follow-up, using the same theme of fear, horror and the slightly bizarre to tell a great, tense tale. Most of this fear and tension comes from the excellent John Goodman. He is the man who “saves” an injured Mary Elizabeth Winstead and takes her down to his underground, “doomsday” bunker. From the moment he appears on-screen, he fills the screen with a dread that would make anyone uneasy and unsure. The truth of his character and the bunker itself make for the core of the movie (although this still under-sells the plot) and Goodman demonstrates how to create a intimidating, unpredictable character without going overboard or erratic. The trailers don’t do the horror aspect of the movie justice. It isn’t a horror in the new Hollywood sense, with “cattle-prod” scares or grotesque imagery. This is a movie about imposing threat, the unknown and what you do or do not know about the individuals you have to share a confined space with. This is exactly how you present fear, from the first introduction to Goodman through to the unpredictable finale. The plot is one of the better I have seen in a film in a long time. Every time you believe you know where the film is going or what the film is about, the direction of the story alters. It never alters too far and each new layer of development isn’t too ridiculous that you get torn out of the story, but it does mean that you can’t predict what will come next or where the movie is going. It even goes as far as to transcend a few separate genres too. This is down to the excellent marketing campaign for the film. The first trailer gives so little away that you may go into the film believing it to be about one thing and get something completely different. All the events of the first trailer happen in the first half an hour and then what we get is unexpected, unknown and unsure – exactly as it should be. All these events are seen through the eyes of one key character, Mary Elizabeth Winstead’s Michelle. Luckily, Winstead is an able actress and she holds this movie well. She is never a damsel-in-distress and is called upon to do and witness some pretty unexpected things, each one Winstead sells well. Hopefully this will be the beginning of a more successful career for the actress who has started with smaller, supporting parts so far. 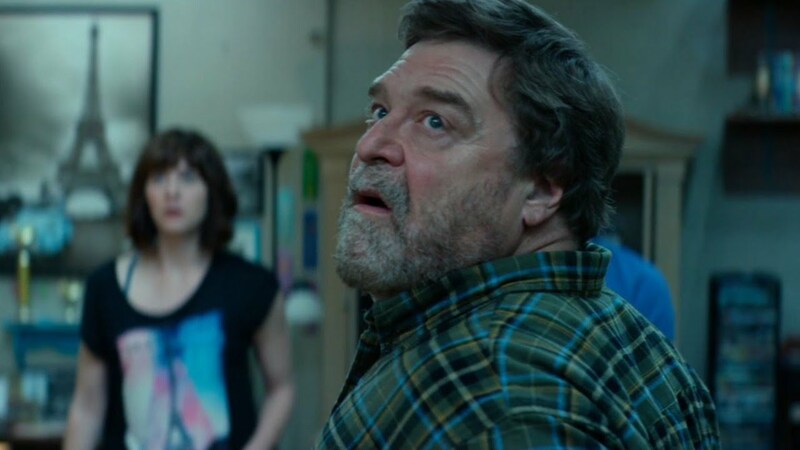 Overall, 10 Cloverfield Lane manages to completely deceive the audience. It is a twisted, multi-faceted tale which will go in directions you aren’t expecting. 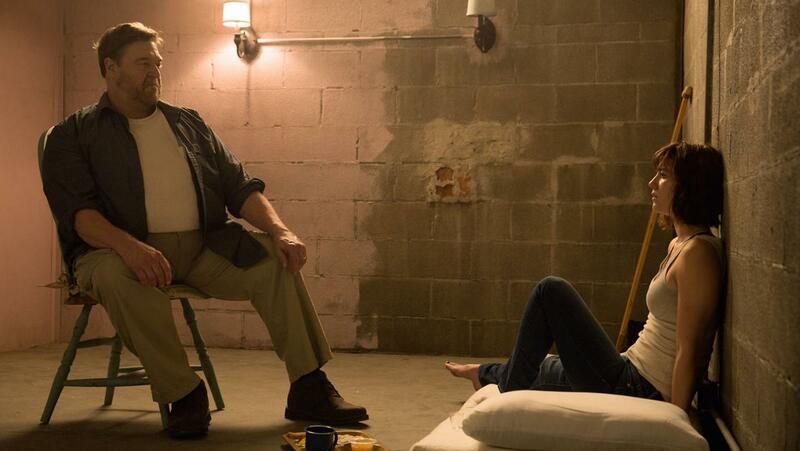 This is down to the two great central performances, by Mary Elizabeth Winstead and the terrifying John Goodman. Go into this movie cold and without any knowledge, and enjoy the ride. Good review. Starts off fun and exciting, only to then get a tad bit silly. But it still kept me watching. I didn’t think it was silly – just unexpected. Nice review. I’ve heard so much about this film and unfortunately managed to miss this at the theaters, so hoping to catch it on VOD. Definitely do, it is well worth a watch. Next Next post: The Views from the Sofa Podcast!